I received these 2 NPN's from Panini Marquee BKB in today's mail. They were mailed around July 15th. 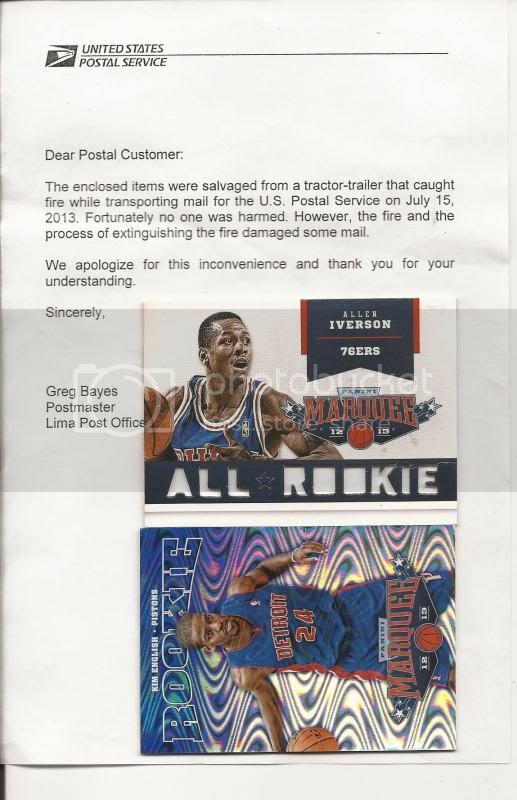 See the post office letter regarding a truck fire. Cards are in good condition. Iverson's card is kind of soft. The plastic card holders are very "wavy" caused by the heat? Nice NPN mail. Both cards are nice.